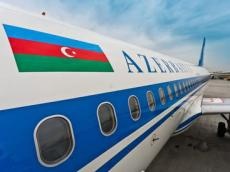 Azerbaijan Airlines (AZAL) will continue operating flights on the Baku-Simferopol-Baku route in the fall and winter period from October 27, 2013 till March 29, 2014. The J2 049/050 Baku-Simferopol-Baku flights from the Azerbaijani capital to the city of Simferopol in southern Ukraine will be held on Mondays on board comfortable Embraer-190 aircraft. During the same period, AZAL will continue operating flights on the route Baku-Lviv-Baku to the Ukrainian city of Lviv. The J2 051/052 Baku-Lviv-Baku flights will take place on Sundays. Earlier, AZAL received three Embraer-190 aircraft and one Embraer-170 plane. Moreover, the Azerbaijani airline placed an order for the purchase of two Boeing-787 Dreamliner aircraft. This will allow running flights over longer distances, particularly to the North and South America, Southeast Asia and other regions of the world. AZAL, the biggest Azerbaijani airline and national flag carrier, offers passenger flights to countries in Europe, the CIS, Middle East and Asia. After purchasing new Boeing aircraft for long-haul flights in 2014, the airline plans to open regular flights to destinations in North America and Southeast Asia. The company is a regional and CIS leader for the number of new aircraft. Its fleet currently consists of modern aircraft meeting all safety requirements, including Boeing 757-200, Airbus ?319, ATR 42, ATR 72, Airbus ?320 and Boeing 767-300. It cooperates with about 60 airlines to provide its passengers with the opportunity to travel freely around the world. AZAL was certified by IATA Operational Safety Audit, a program that is an internationally recognized evaluation system designed to assess the operational management and control systems of an airline.